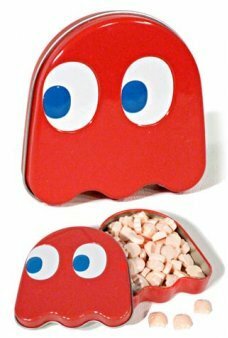 Our clever tin Pac Man is filled with delicious candy cherry sours! 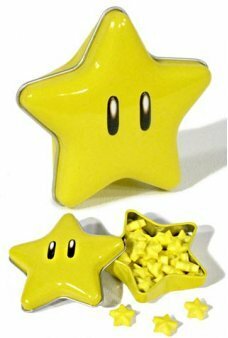 Our 8 bit jagged Pac Man looks just like the yellow ..
Our adorable tin Pac Man Arcade Tin looks just like the original with the game screen and graphics! 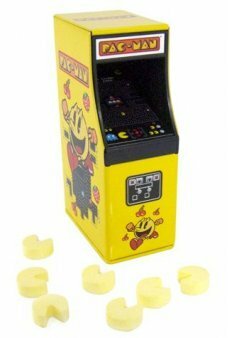 Just open the arcade..
Our adorable tin Hello Kitty Arcade Tin looks like a classic arcade cabinet with the Hello Kitty graphics! 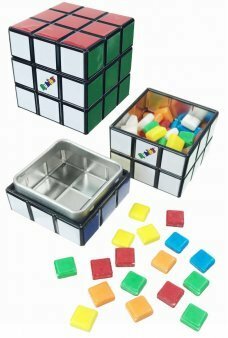 Just open the..
Our candy-filled Rubik's Cube looks just like the original game with 9 color squares on each side! 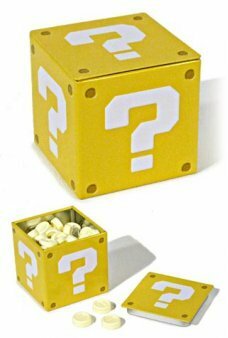 Just open the cube's ..
Open Super Mario’s Super Star and you’ll find delicious candy stars inside! 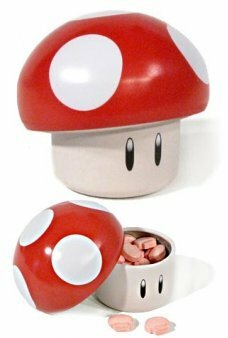 Our all-tin box looks just like the real pow..
Open Super Mario’s Super Red Mushroom and you’ll find delicious candy mushrooms inside! 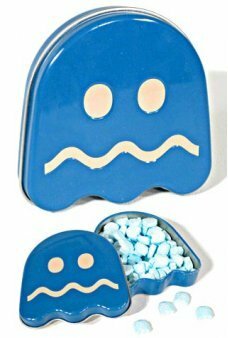 Our cute all-tin box looks just ..
Seeking your fortune? 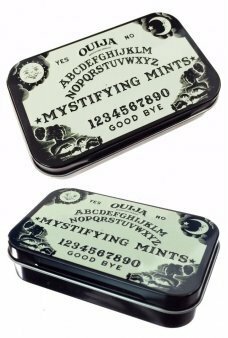 Sign say "YES" for this Magic 8 Ball tin filled with nine different fortune-telling blue raspberry..